Q8research has pilot plant equipment available to process crudes and other feed stocks. Product fractions can be analysed and used for performance testing and further research. 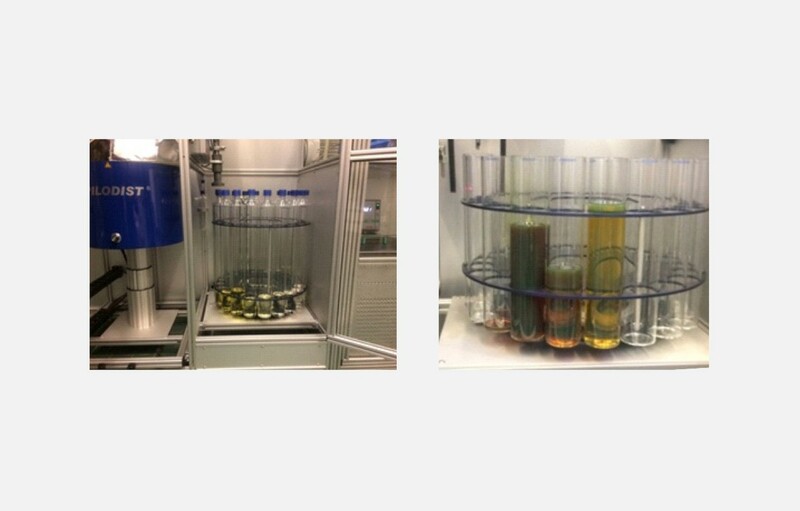 Catalysis processes can be simulated in our catalyst pilot plants for catalyst research, catalyst performance testing and benchmarking catalysts from different vendors. The strength of Q8Research lies in combining the results of our experimental research with our technical refinery expertise and our knowledge of the products. 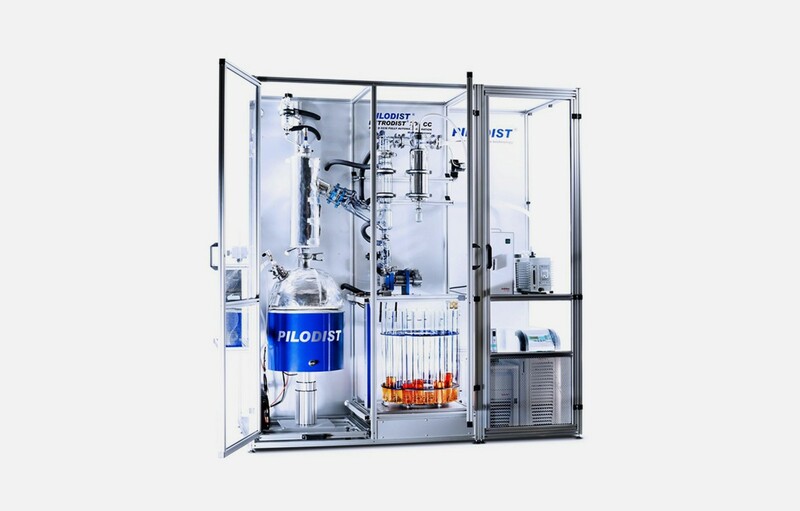 The Pilodist PD 100 CC, shown below, is an automatic crude distillation unit of 20 l. It is operated according to ASTM D 2892 and performs the distillation of the crude oil, which runs from room temperature to 420°C. The numbers of fractions which can be collected during this run is 20, but can be extended to 80 if needed. This is done by replacing the filled sample receivers by new empty ones. The Pilodist 200-CC, shown right, is an automatic vacuum distillation unit according to ASTM D 5236, which runs to 550°C. The numbers of fractions which can be collected during this run is 20. Crude assays are very important for refineries. It enables them to select the most economical crude for processing in the refinery based on predicted yields and properties of the different fractions. Analysing them provides insight into the product yields and the performance of the distillate products in downstream units and as final products. Distillation can be done under Atmospheric and under Vacuum conditions and is done according to the official ASTM norms. During a single run a volume of 10-15 litre of Hydrocarbons can be fractionated and the cut points between the fractions can be set according to the customer needs. The collected fractions are analysed according to their requirements. Q8 Research offers a wide variety of analytical methods according to ASTM, IP, ISO and EN. The first step is to discuss with the customer the crude assay format. Which cut points are needed and which analyses has to be done on each fraction. If a customer does not have an assay format, we can propose one. In order to perform a proper assay a 20 l sample is required. On receipt of the crude oil, it will be analysed. Key parameters analysed are density, API gravity, Sulfur water and Nickel and Vanadium content. On request other parameters can be analysed. A full crude assay and distillation curve is generated including product yield and product characterization according to the needs of the customer. Depending on the number of fractions and analytical data to be generated a crude assay will take approximately 3 to 4 weeks to complete.